With over 2 million square feet to explore, 5,000 years of art and 17 curatorial departments with over 2 million works, there's a lot to see at The Metropolitan Museum of Art in New York City. Whether it's the first time visiting or you are a local, you won't run out of things to see anytime soon, but knowing where to start can be daunting. We asked Met insider Haley Ward for some highlights, tips and surprises at the iconic New York museum. What do you think would surprise people about The Met? 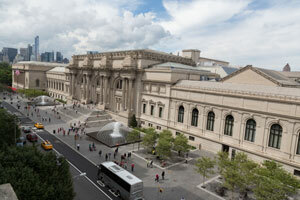 Some people are surprised to find out that The Met is the most visited attraction in New York City. In 2015, we welcomed a record 6.5 million visitors. 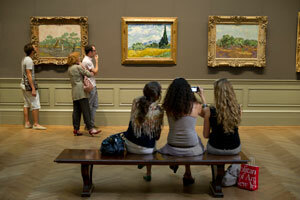 Tourists and locals alike enjoy visiting The Met. The Arms and Armor Department was created within the museum in 1912. 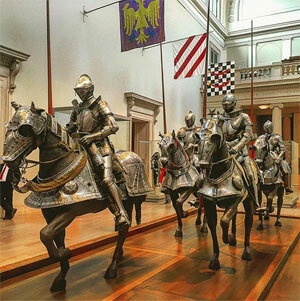 Most underrated exhibit?We have an excellent Arms & Armor collection that is sometimes missed. We have armor from around the world, including one of Henry VIII's suits from England. 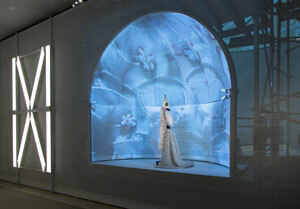 This is a great gallery to visit with kids. The Astor Chinese Garden Court at The Met. 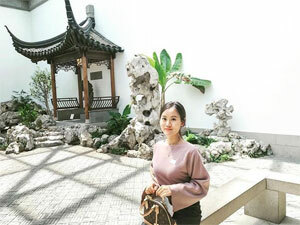 Best kept secret?The Astor Chinese Garden Court, our indoor Chinese garden court in the style of the Ming dynasty. You can find live coy fish in the pond here. If you're in a hurry, where should you beeline it to? 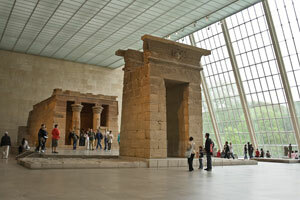 You can't miss The Temple of Dendur in The Sackler Wing. This full-size Egyptian temple was given to the United States government in 1965 by the Egyptian government and eventually found a home at The Met in 1967. The Temple of Dendur in The Sackler Wing. Courtesy of The Metropolitan Museum of Art. If you have all day, what are your top things to see and where can you linger? With over 2 million square feet, you will never run out of things to see at The Met and there are surprises around every corner. We have 17 curatorial departments, including European paintings and sculptures, medieval art, Islamic art, and so many more. The Met also has over 40 exhibitions every year, including our extremely popular Costume Institute exhibitions and our annual Roof Garden Commission during the summer. 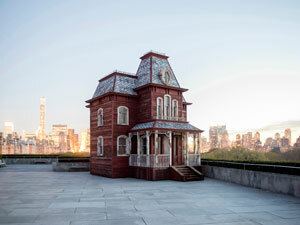 Installation view of The Roof Garden Commission: Cornelia Parker, Transitional Object (PsychoBar) at The Metropolitan Museum of Art, 2016. Photographed by Alex Fradkin. Are there any reactions you've heard from guests that have really caught your attention or surprised you?One of my favorite moments at The Met was when I saw a school group of 4-5 year olds walk into our Monet gallery. One of the little boys pointed up at a painting of sunflowers, recognizing the work, and excitedly telling his friends to look. It was a wonderful moment where I witnessed the impact art can have on people, especially young people. He and I were both thrilled he recognized the work and I hope he carries that experience with him for the rest of his life. I know I will. The Annenberg Collection in the European Paintings Galleries. Courtesy of The Metropolitan Museum of Art. Best spot for kids?Kids love seeing all of our Egyptian art, especially the mummies! 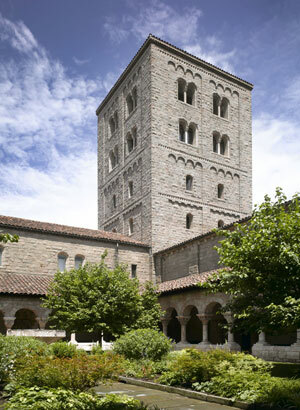 Kids also love visiting The Met Cloisters, located in northern Manhattan. The Met Cloisters is our medieval art museum that looks like a castle. Kids (and adults) feel like they have been transported to medieval Europe. The Cloisters Museum and Gardens. Courtesy of the Metropolitan Museum of Art. Best spot for adults? There is something for everyone! For example, some adults love our period rooms, impressionist galleries, and Greek and Roman sculptures at the main building. In March 2016, we opened The Met Breuer, our modern and contemporary exhibition space. This has been a wonderful museums for adults (and their kids) explore some of the greatest artworks from Modern and contemporary artists. Anything else you want to add?Thank you for making The Met part of your visit to NYC! Download The Met app as a free digital resource to discover galleries, works of art, media, events, facilities and information. The Met is part of the New York CityPASS and includes skip-the-line admission and all exhibitions, plus same-day admission to The Met Breuer and The Met Cloisters.